20/06/2006�� Different potatoes, different answers. I've gathered several new potatoes from plants that hadn't even bloomed yet. 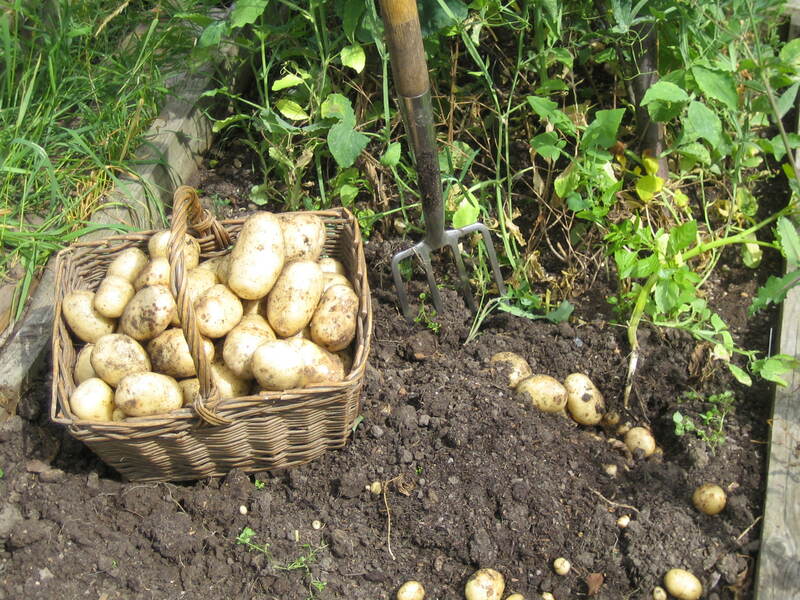 However, if you want full grown potatoes, the rule is that you dig them up after the plant has died back. When digging potatoes, if the skin is not set and is easily removed, delay the harvest. Dig spring-planted potatoes before the soil becomes hot. 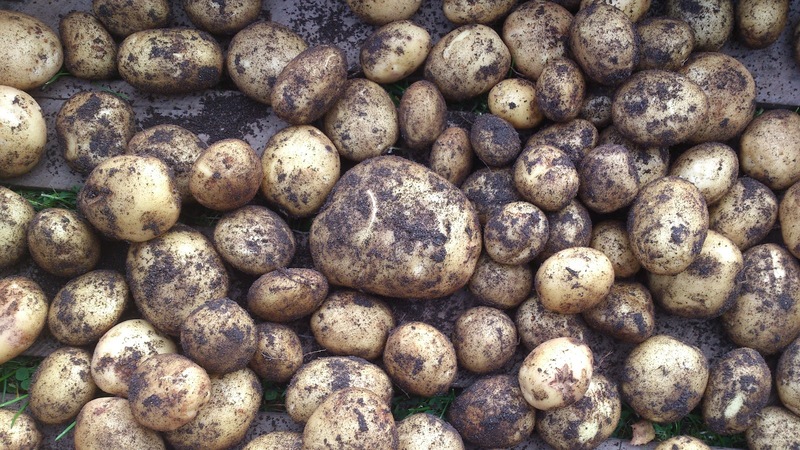 Avoid harvesting the potatoes when the soil is wet to avoid potato diseases. Dig potatoes on a dry day. Dig up gently, being careful not to puncture the tubers. Avoid cutting or bruising potato skin. The soil should not be compact, so digging should be easy. Dig up gently, being careful not to puncture the tubers.